Technology for Heating and Cooling Too? Cold Craft, Inc. is fully committed to making sure that the temperature is right. Whether comfort heating and cooling, wine cellar refrigeration, commercial refrigeration applications, and commercial comfort applications and ventilation that we have a trade mark pending on tempology and we have the trade mark for tempologist. We are confident that our team is more educated than our competition mainly because we have an on staff HVACR instructor from a local college and we hold weekly training classes as well as attend manufacturer training classes to stay up to date on the most current changes in our industry. You may wonder, what changes my home hasn't changed? That may be true if you haven't shopped for HVAC recently but just as the auto industry has become more energy efficient, quiet and comfortable - the HVACR industry has too and the savings are more dramatic with HVAC than with cars. After all is isn't likely that you drive your car the same number of hours as your HVAC operates to heat and cool your home. 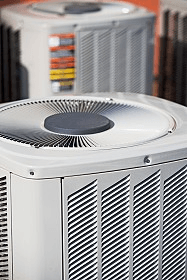 Take a new look at the HVACR and you may be pleasantly surprised. Lower energy consumption, quieter operation... hey, who knew you could have this sort of comfort?